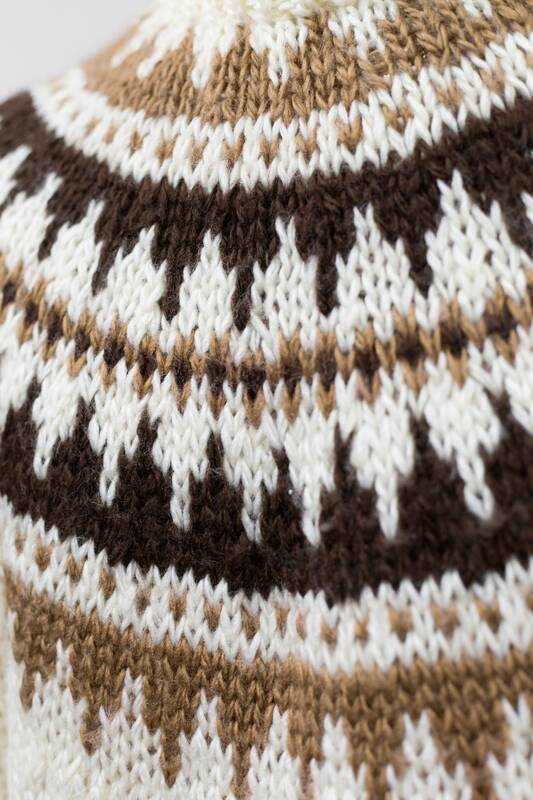 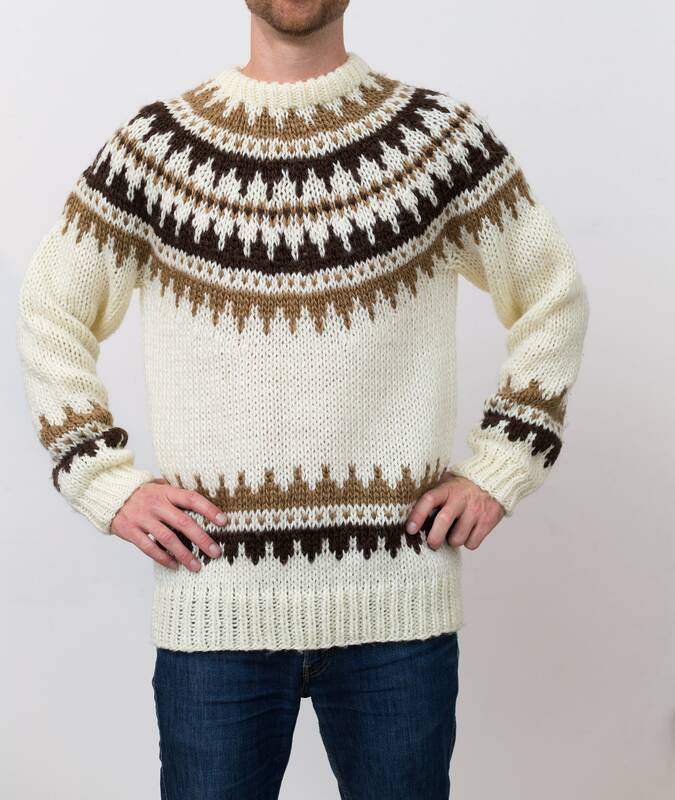 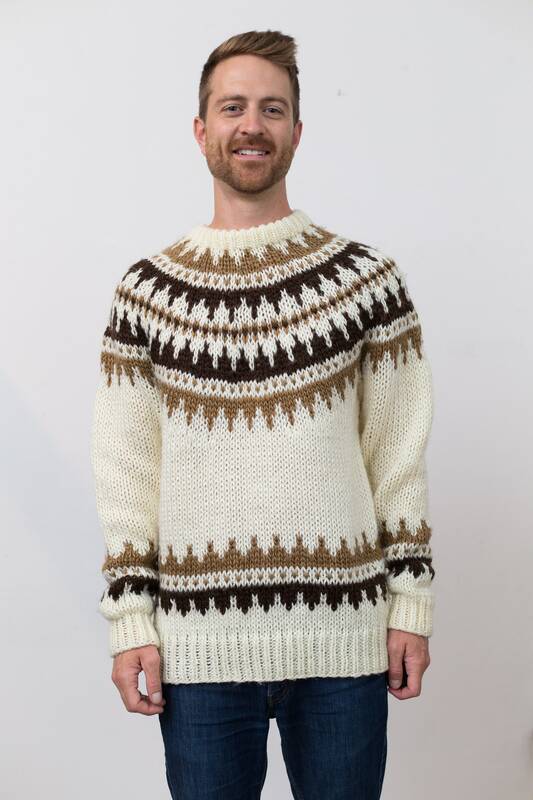 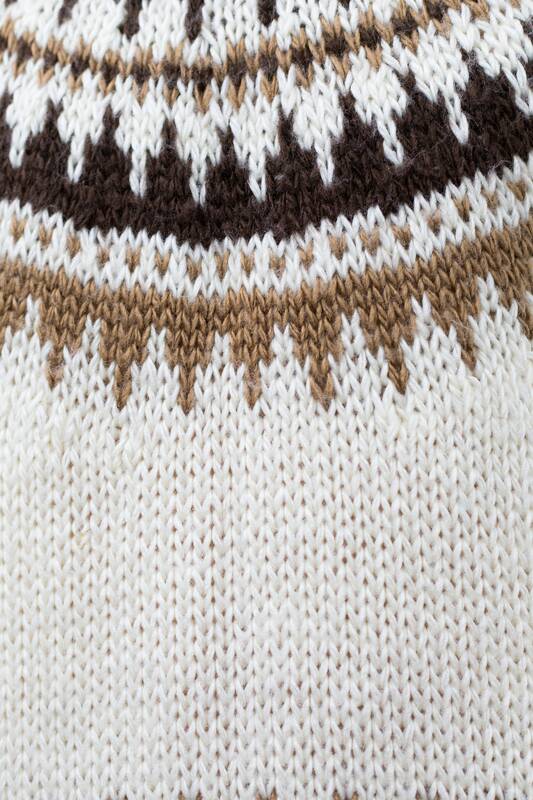 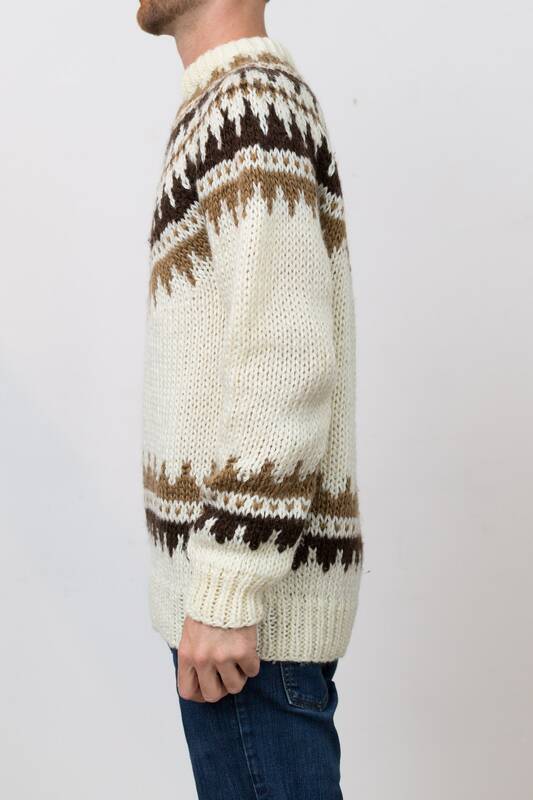 This is a wonderful vintage hand knit sweater with a white and brown color geometric chevron pattern wrapped around. 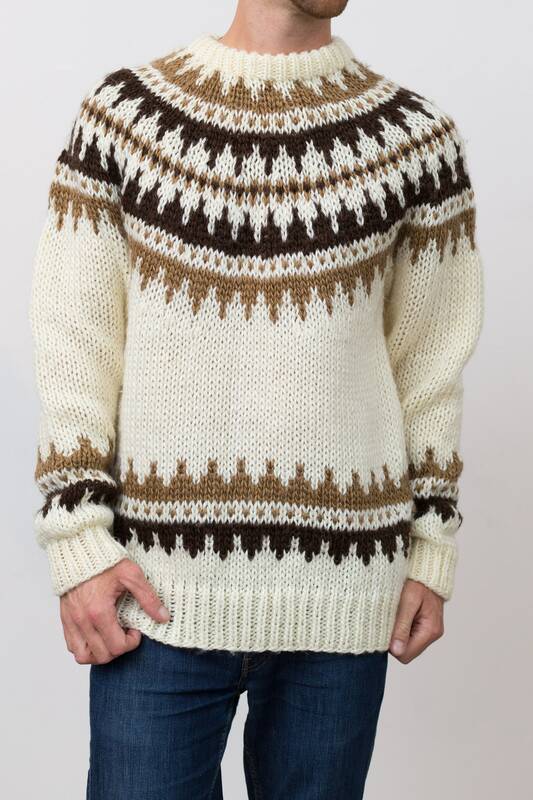 Size: Men's large (model wears medium). 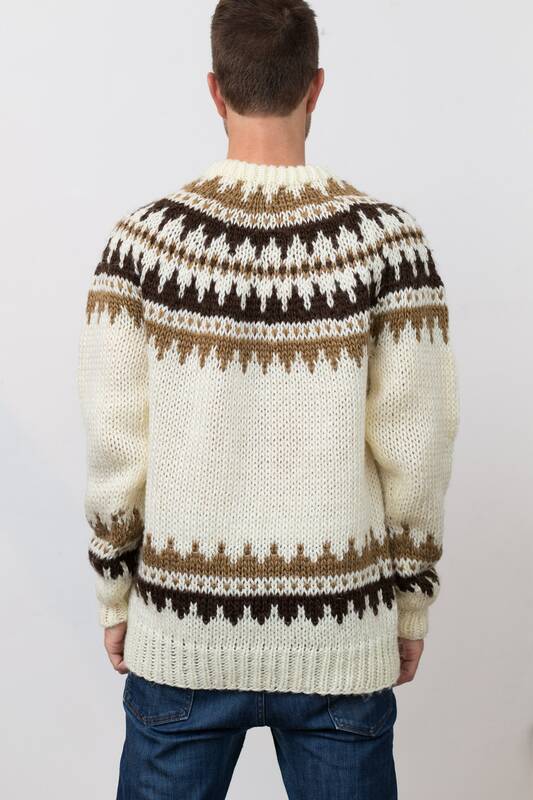 Length from neck seam to bottom of sweater: 29"